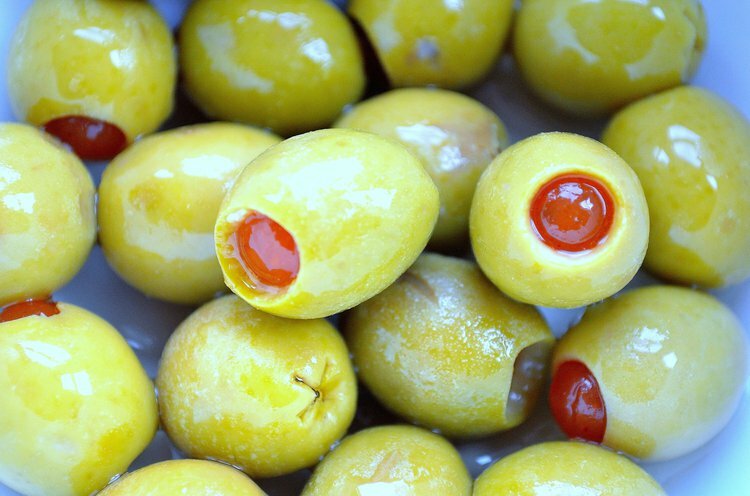 The small oval-shaped olives can be found in either green or black depending on the ripeness of the fruit. Olives have been one of the world’s most popular fruit because of its versatility for foods, beverage, and oils. The small fruits, also called drupes or stone fruits, grow on olive trees (Olea europaea). The small oval-shaped olives can be found in either green or black depending on the ripeness of the fruit. Olives are too bitter to be eaten immediately picked from the tree and must be processed to reduce their intrinsic bitterness. Here are the seven health benefits of olives. 1. Olives are loaded with healthy fats. 2. Olives could reverse some symptoms caused by type 2 diabetes. Type 2 diabetes is a long-term metabolic disorder affects how the body responds to sugar in the body. The pancreas is an organ in your body that produces a hormone called insulin. Insulin allows cells in the body to convert the sugar you eat into energy. Even though people with type 2 diabetes still make insulin, the cells in their bodies do not respond to insulin, causing high blood sugar. This condition is called insulin resistance. Most individuals with insulin resistance are obese and have high abdominal fat. Vassiliou et al. 2009 suggested that consuming oleic acid could help reduce the inhibitory effect of insulin production of the inflammatory cytokine TNF-α, reversing how the body makes and reacts to insulin. 3. Olives could reduce the risk of atherosclerosis. Atherosclerosis is a disease where plaque, made up of fat, cholesterol, calcium, and other substances build inside the arteries, thus, hardening and narrowing the arteries. As plaque builds in the arteries builds, the oxygen-rich blood becomes harder to reach the heart, brain, kidneys, and other organs. Madigan et al. 2000 suggest that a diet rich in oleic acid, found in olives, may reduce the risk of atherosclerosis when compared to a diet rich in linoleic acid by decreasing the number of chylomicron remnant particles. 4. Olives could help to reduce pain. Inflammation is one of the leading causes of pain in the body. Pain relievers like ibuprofen, naproxen, ketoprofen, and sulindac are over-the-counter nonsteroidal anti-inflammatory drugs (NSAIDs) that inhibit the action of an enzyme called COX-2 the promotes inflammation. Olives have shown to be a remarkable anti-inflammatory due to oleocanthal, which contains a profile like ibuprofen. 5. Olives can help improve your gut profile. Martín-Peláez et al. 2017 investigated the effects of virgin olive oil phenolic compounds (PC) and gut bacteria populations. They found that a mixture of olive oil and thyme PC decreased the amount of blood “bad cholesterol” with the increased population of bifidobacteria being the potential cause. Also, the oleic acid content in olives could help prevent ulcerative colitis. De Silva 2014 found that people who consumed the highest amount of oleic acid were 89 percent less likely to contract ulcerative colitis than those who consumed the least. 6. Olives could help fight infections. Studies have found to fight some microbial, viral, and fungal infections. Sudjana et al. researched the effects of olive extract and infection. They concluded that the extract inhibited the growth of these infections including Methicillin-resistant Staphylococcus aureus (MRSA). 7. Olives could help prevent osteoporosis. Osteoporosis is a disease characterized by a decrease in bone mass and bone quality. Sometimes the bones can be so weak and brittle that a fall or even mild stress like coughing could cause a bone fracture. García-Martínez et al. 2014 suggested that olive oil phenols can help prevent the loss of bone mass. Hashmi, M. A., Khan, A., Hanif, M., Farooq, U., & Perveen, S. (2015). Traditional uses, phytochemistry, and pharmacology of Olea europaea (olive). Evidence-Based Complementary and Alternative Medicine, 2015. Yoneyama, S., Miura, K., Sasaki, S., Yoshita, K., Morikawa, Y., Ishizaki, M., ... & Nakagawa, H. (2007). Dietary intake of fatty acids and serum C-reactive protein in Japanese. Journal of epidemiology, 17(3), 86-92. Schwingshackl, L., & Hoffmann, G. (2014). Monounsaturated fatty acids, olive oil and health status: a systematic review and meta-analysis of cohort studies. Lipids in health and disease, 13(1), 154. Menendez, J. A., & Lupu, R. (2006). Mediterranean dietary traditions for the molecular treatment of human cancer: anti-oncogenic actions of the main olive oil's monounsaturated fatty acid oleic acid (18: 1n-9). Current pharmaceutical biotechnology, 7(6), 495-502. Menendez, J. A., Vellon, L., Colomer, R., & Lupu, R. (2005). Oleic acid, the main monounsaturated fatty acid of olive oil, suppresses Her-2/neu (erbB-2) expression and synergistically enhances the growth inhibitory effects of trastuzumab (Herceptin™) in breast cancer cells with Her-2/neu oncogene amplification. Annals of oncology, 16(3), 359-371. Terés, S., Barceló-Coblijn, G., Benet, M., Alvarez, R., Bressani, R., Halver, J. E., & Escribá, P. V. (2008). Oleic acid content is responsible for the reduction in blood pressure induced by olive oil. Proceedings of the National Academy of Sciences, 105(37), 13811-13816. Madigan, C., Ryan, M., Owens, D., Collins, P., & Tomkin, G. H. (2000). Dietary unsaturated fatty acids in type 2 diabetes: higher levels of postprandial lipoprotein on a linoleic acid-rich sunflower oil diet compared with an oleic acid-rich olive oil diet. Diabetes care, 23(10), 1472-1477. Beauchamp, G. K., Keast, R. S., Morel, D., Lin, J., Pika, J., Han, Q., ... & Breslin, P. A. (2005). Phytochemistry: ibuprofen-like activity in extra-virgin olive oil. Nature, 437(7055), 45-46. Martín-Peláez, S., Mosele, J. I., Pizarro, N., Farràs, M., de la Torre, R., Subirana, I., ... & Heredia, S. (2017). Effect of virgin olive oil and thyme phenolic compounds on blood lipid profile: implications of human gut microbiota. European journal of nutrition, 56(1), 119-131.
de Silva, P. S., Luben, R., Shrestha, S. S., Khaw, K. T., & Hart, A. R. (2014). Dietary arachidonic and oleic acid intake in ulcerative colitis etiology: a prospective cohort study using 7-day food diaries. European journal of gastroenterology & hepatology, 26(1), 11-18. García-Martínez, O., Rivas, A., Ramos-Torrecillas, J., De Luna-Bertos, E., & Ruiz, C. (2014). The effect of olive oil on osteoporosis prevention. International journal of food sciences and nutrition, 65(7), 834-840.